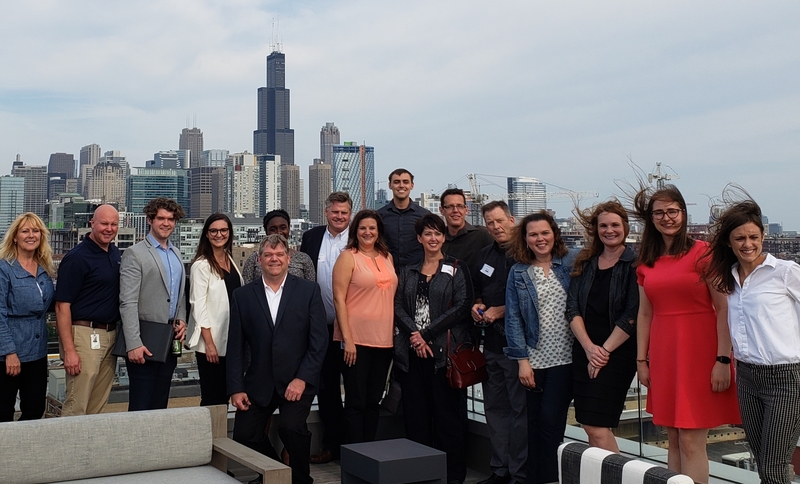 Chicago NAMA hosted nearly 15 individuals recently at The Climate Corp headquarters in downtown Chicago for a tour of the innovative company. 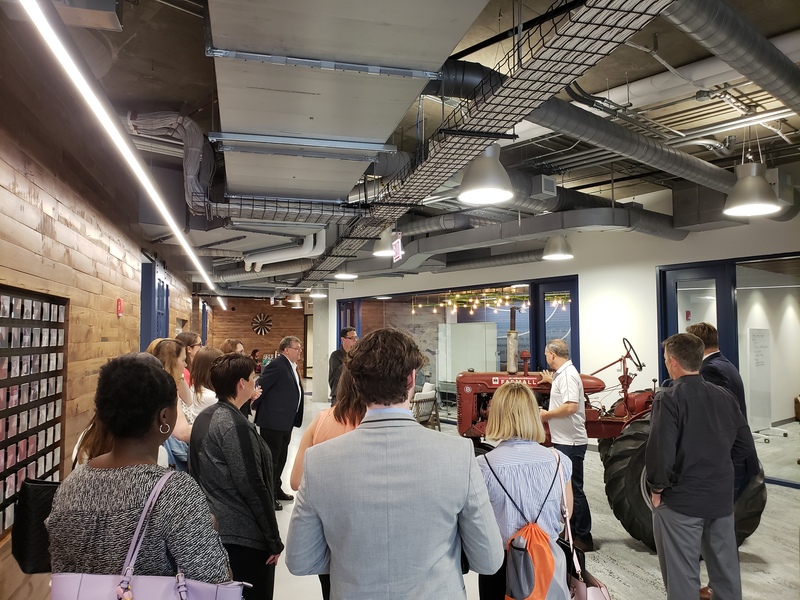 The group also heard from Sean Arians, Director of Product Marketing: Data and Insights for The Climate Corp, about his recent returned international seminar with the Illinois Ag Leadership Program. The seminar allowed Sean to experience agriculture and culture in key U.S. trading partners in Asia, including Hong Kong, Vietnam and Taiwan. Arians shared experiences and takeaways of how the agriculture industry is impacted, as well as the personal impact of the 14-day experience. The event concluded with a networking reception on the rooftop garden at The Climate Corp.